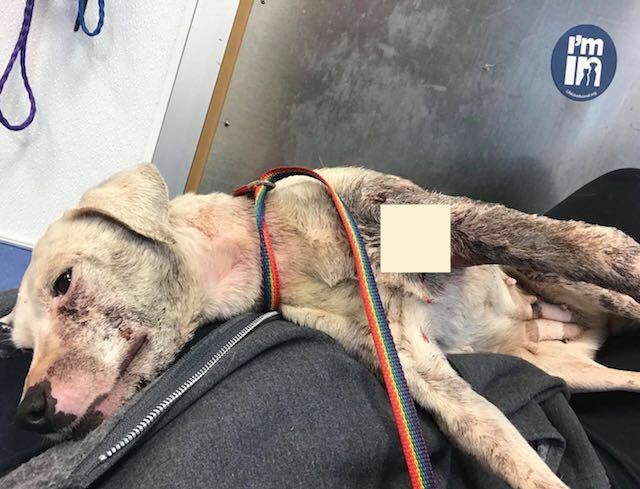 A broken jaw and a shattered leg, Lilac the dog was struggling to stay alive when a jogger in Atlanta, Georgia saw her hiding under a car. 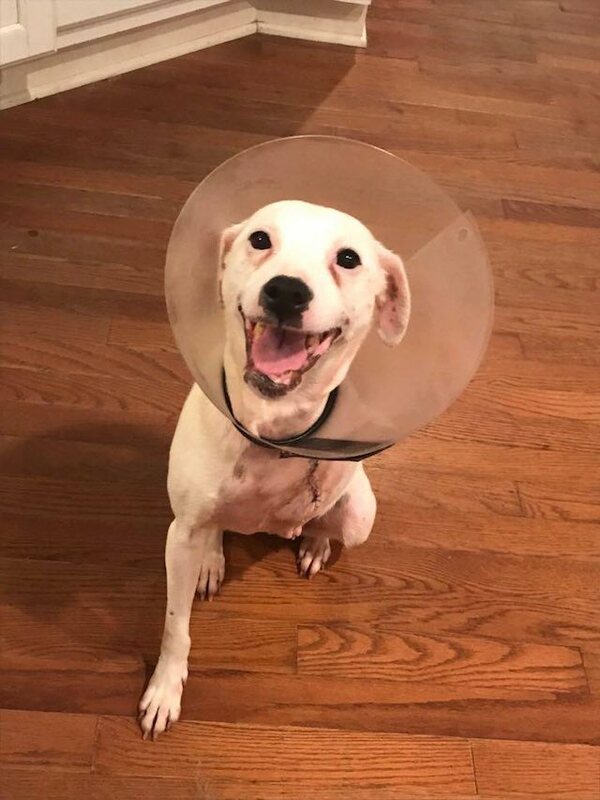 She was rushed to the vet by New York-based Second Chance Rescue NYC Dogs, where she immediately received emergency care. 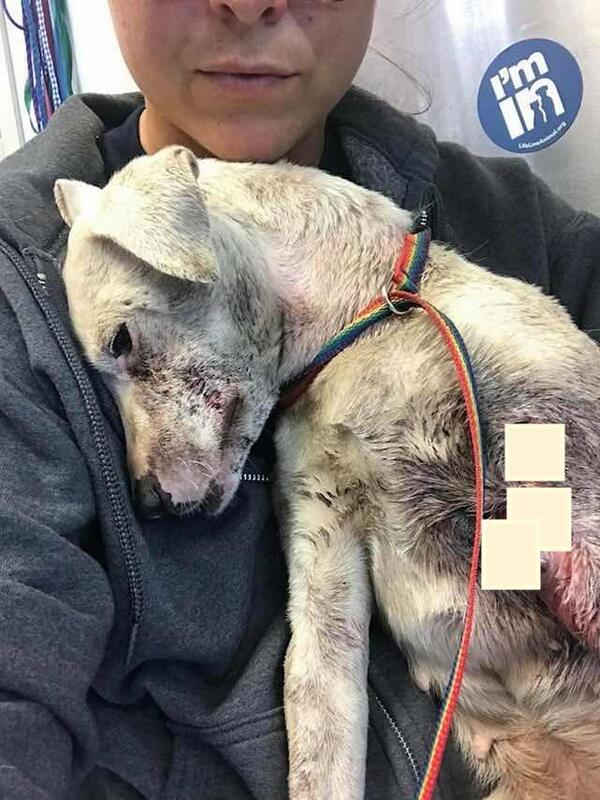 Further veterinary inspection revealed that as well as a severely damaged leg and broken jaw, Lilac also had abdominal trauma due to a bullet lodged inside of her! Despite the trauma to her body, Lilac’s tail would wag whenever someone gave her attention. After a “touch-and-go” few days, Lilac miraculously pulled through. “Where there is a will, there’s a way. There is something about this little lambchop survivor folks, she is so loving and beautiful,” wrote Second Chance Rescue NYC Dogs. Vets couldn’t save her leg, but they worked miracles to heal the rest of her. Lilac may have three legs now but she’s on the road to a full recovery. Lilac is now thriving with the love and attention she’s getting! To support Lilac and dogs like her, please visit Second Chance Rescue NYC Dogs.